The Vitra .05 radically quotes the era of the Bauhaus. 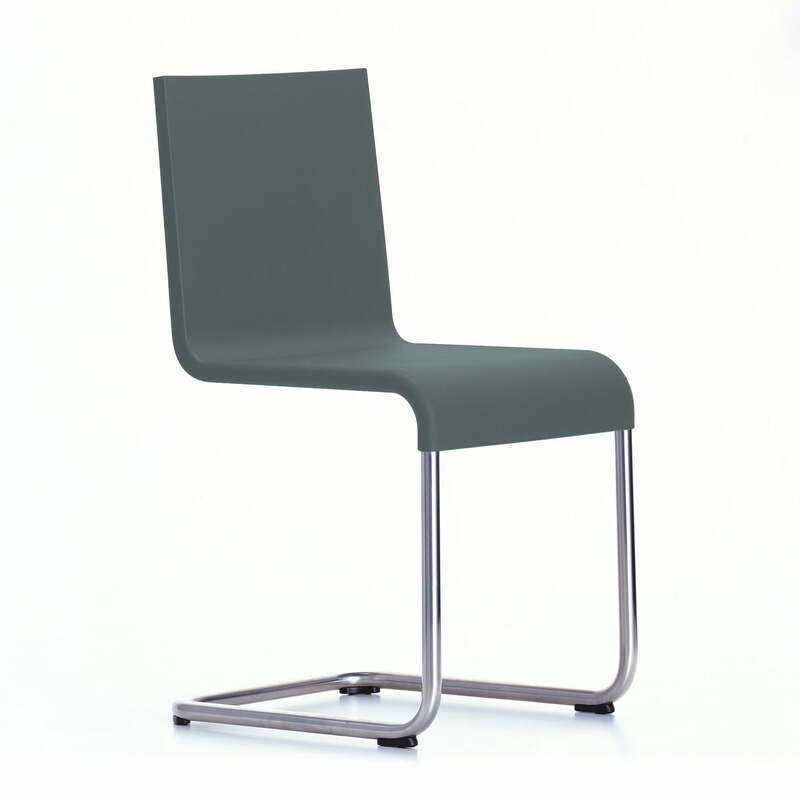 The cantilever without hind legs has a certain lightness and impresses with a formal uncompromising style and a maximum seating comfort. 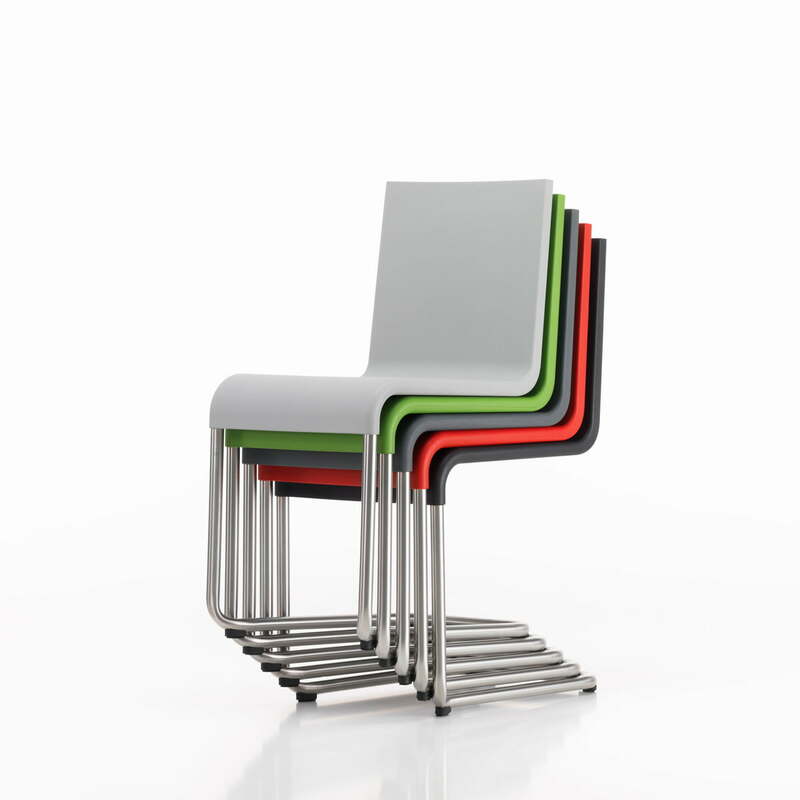 The flexibility of the Vitra .05 can also be described as uncompromising. 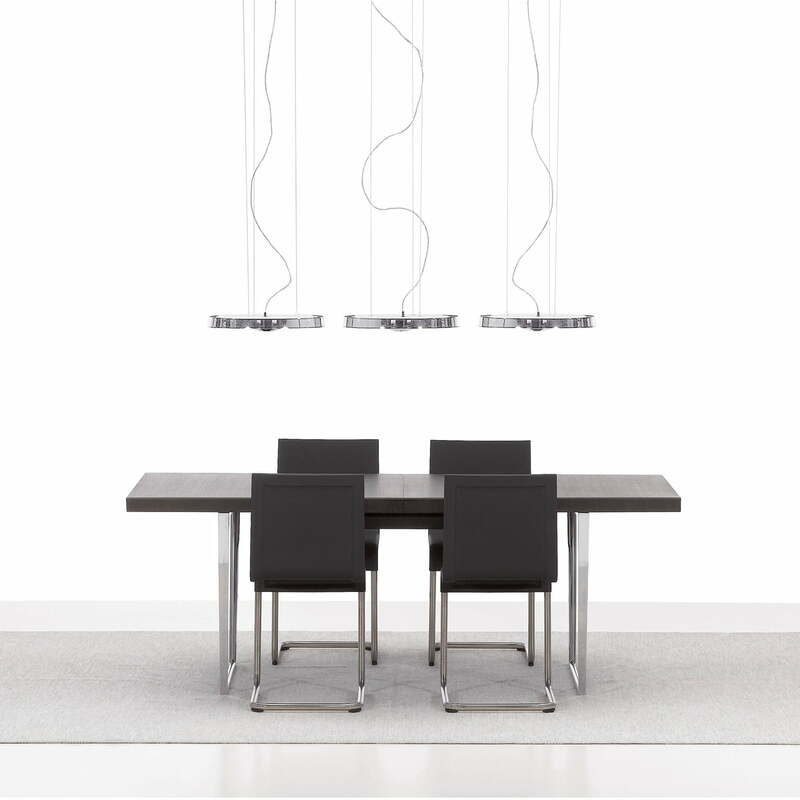 Although it is reminiscent of the design of the 20s of the last century, it impresses with the practicability of today. The .05 designed by Maarten Van Severen is a cantilever chair with a polyurethane integral foam seat. Anyone who sees the Vitra .05 for the first time can hardly believe how comfortable it is. 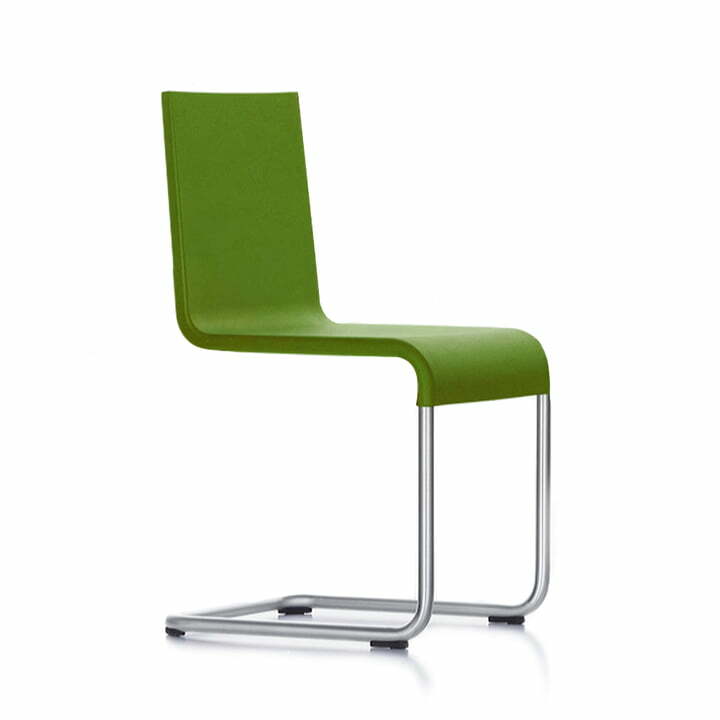 The shell with a cushioning effect is cantilevered on a stainless steel tube frame, while the back is supported by leaf springs. The undercarriage of the Vitra .05 is also made of stainless steel, so that it is overall very resistant and well suited for outdoor use.